There is a change in the air. Finally, Mother Nature has melted the snow from the valleys and it looks like we are going to have a bit of a break from the winds and rain of April in Northern Utah. You’ve been cooped up in your office or at home and are reaching to scratch that itch of adventure. Cabin Fever got you down? New layout for camping and marine! If you are like me then this itch comes every year and you’re ready to go. But before you can go anywhere you better take stock of your gear and replace anything outdated, broken, or in need of repair. What better way to scratch that itch than by coming to Smith & Edwards! We’ve been doing some of our own changing to get you out of Dodge and into the outdoors where you belong. Paddles and oars start at $12.99. Come on in and check out what we’ve been up to this week! 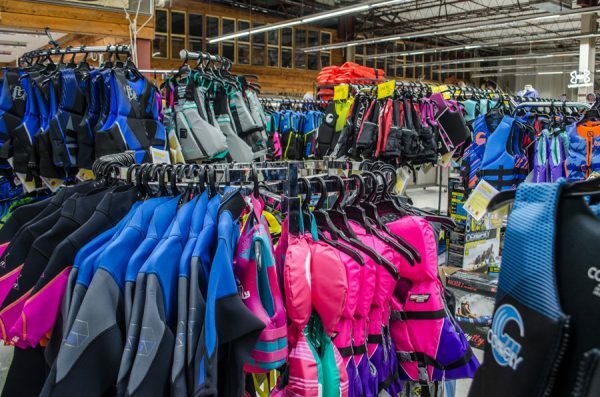 Our camping and marine sections had a little bit of a facelift so we can help you find what you need quickly. 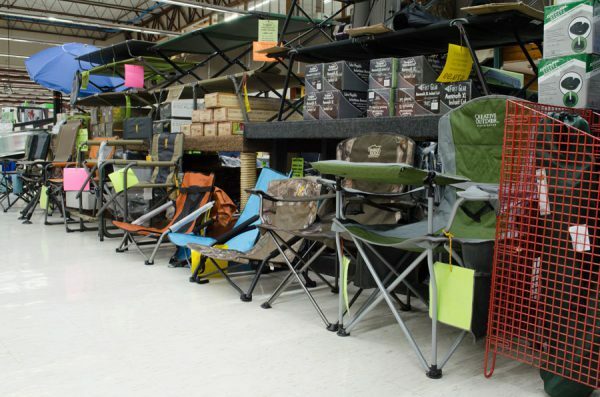 We’ve got everything you need for lounging, hiking, sleeping, camping, boating, and just plain ol’ sitting around. 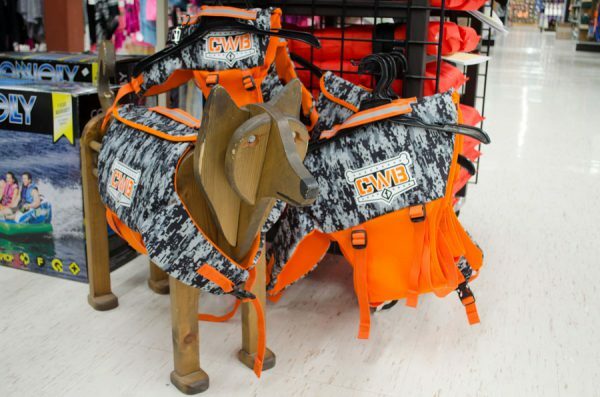 We’ve even got life vests for your pooch! Stop paddling to keep up and start paddling to get away! 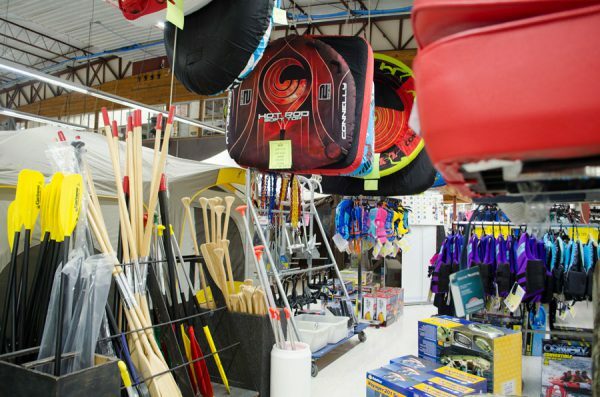 Whether it’s rafting, canoeing, kayaking, or paddle boarding, we’ve got all the equipment you’ll need at great prices. You can shop for paddles online right here! Quit treading water just to survive. It’s time to kick back and relax in the water. Get a new Connelly life jacket or an inflatable lounge tube. Neoprene and nylon jacket styles are available for all ages and sizes. Click here to see the sizes and styles we carry. We also have great prices on Connelly towables and inflatables. And, between you and me, Willard Bay is starting to look quite inviting. Did you know it’s just right around the corner from us? Check out our inventory here and get out on the water! Say goodbye to your uncomfortable desk chair for the weekend and kick back with some good friends. Enjoy a s’more or two in a new camp chair or lounger. 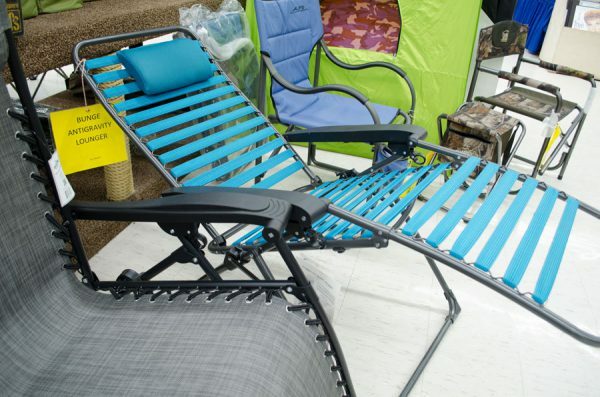 This camp lounger is so comfortable you won’t even notice that you’re sitting down. 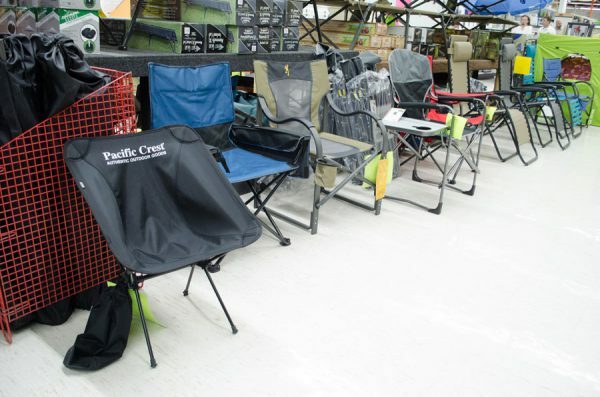 Shop online for camp chairs and sleeping cots. For the last 70 years, we have been doing our part to make sure that you are outfitted with the newest, best and most reliable gear. Let us continue this tradition of excellence. We know you’ll find what you need right here and we can’t wait to help you discover something new. Rush in to Smith & Edwards today so you can rush out fully equipped and ready to explore this great state! EmmaLee works with the online store at Smith and Edwards. If she's not at work, she can be found playing hard, doing any number of outdoor and athletic activities. 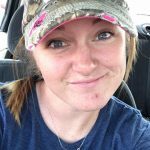 She has an enthusiasm for life, loves being around people, and everyone enjoys trying to keep up with her goofball personality! Experience an EPIC Summer on a Paddleboard! Ashley Erickson with her Ram and lucky Smith & Edwards Hat.